A statement by the Foreign Affairs Ministry’s spokesman, Tiwatope Elias-Fatile, said the mission has been visiting detention camps to identify Nigerians for registration and to issue Emergency Travelling Certificates to them. He said, “It is apt to add that our mission in Tripoli has been addressing the problems associated with Nigerian migrants in Libya. “There were instances when the mission received appeals for intervention from some Nigerian families whose children and relations were victims of inhumane acts in that country. 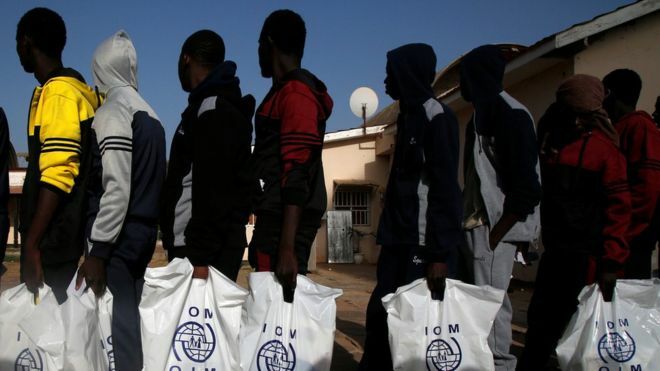 According to the Ministry, the mission in Libya had addressed kidnapping of Nigerians for ransom by foreigners, adding that other cases involving Nigerians, who kidnapped their compatriots for ransom in Libya were equally reported to the embassy for immediate action.